ALBANY, N.Y. (AP) — Half of the Final Four is set and the other two teams will be decided Monday night. 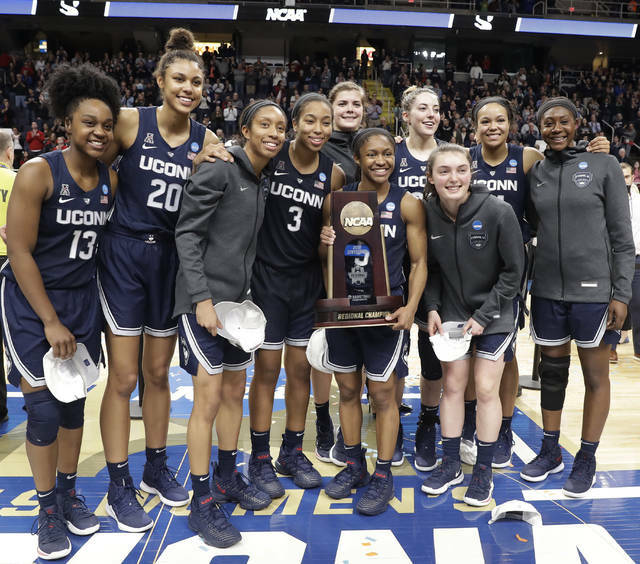 UConn extended its record run of consecutive appearances in the Final Four to 12 and Oregon reached its first national semifinal with victories on Sunday. Notre Dame, Baylor, Stanford and Iowa will try to join them in Tampa, Florida. The defending champion Irish will have to beat the Pac-12 Tournament champion Cardinal in the Chicago Regional. Stanford has been to the Final Four 13 times, trailing only Tennessee and UConn. Notre Dame is fifth on the list at eight. Stanford Hall of Fame coach Tara VanDerveer has been there every step of the way. 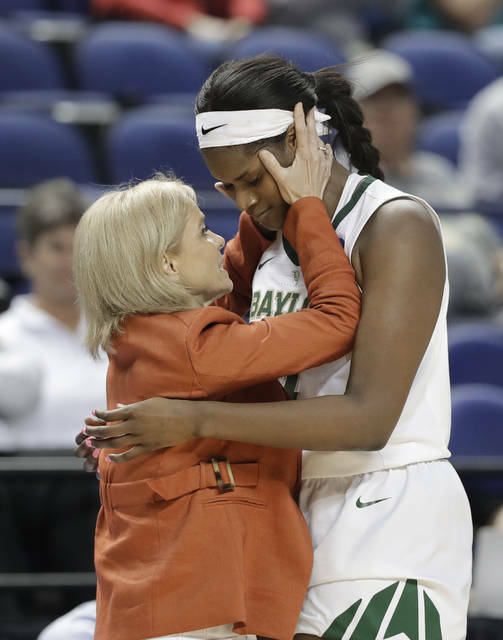 While Stanford and Notre Dame have reached the Final Four recently, Baylor hasn’t been there since 2012 — the last time the Lady Bears won the national championship. Their opponent, Iowa, hasn’t made it to the Final Four since its lone trip to the Final Four in 1993. The two will play in the Greensboro Regional Final. 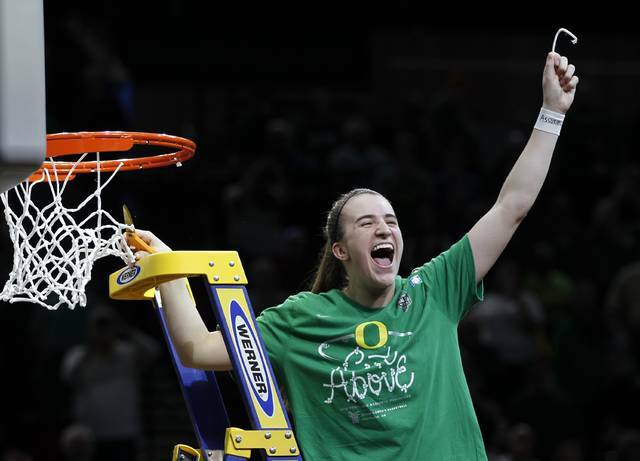 Iowa and Baylor have some of the best post players in the country with the Hawkeyes’ Megan Gustafson and the Lady Bears’ Kalani Brown and Lauren Cox. Gustafson averages a Division I-best 27.9 points. Already with 33 double-doubles this season, she will break the NCAA single-season record with another one. That could be difficult against Baylor, which has allowed just eight double-doubles all season. A critical strength-vs.-strength matchup will unfold when Iowa has the ball. The Hawkeyes are the best shooting team in the nation, hitting 52 percent of their shots. There’s no defense tougher to shoot against than Baylor’s — the Bears allow opponents to shoot a Division I-low 31.4 percent. AP Sports Writers Joedy McCreary and Jay Cohen contributed to this story.